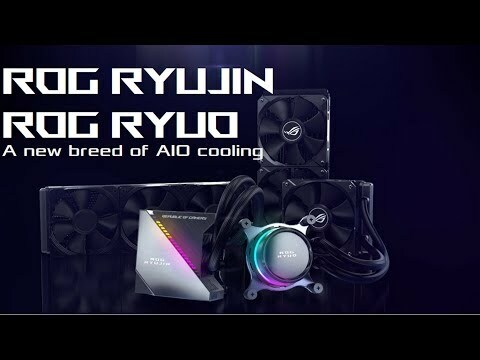 A NEW BREED OF AIO COOLING ROG Ryuo is a series of high-performance CPU liquid coolers designed for compact and mid-sized gaming builds. As the first CPU coolers from ROG, the Ryuo series brings the performance, features and design details you expect from ROG to a vital part of your gaming system. Featuring an embedded 1.77-inch LiveDash colour OLED display that enables monitoring of real-time system stats as well as displaying personalized image or animation, ROG Ryuo lets you ensure your system both runs and looks its best. Together with Aura Sync support for harmonized RGB lighting effects, ROG Ryuo coolers deliver stunning aesthetics along with game-changing performance. 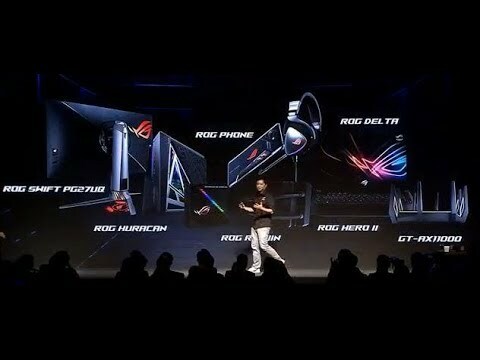 next level of customisation ROG Ryuo is the world's first All in One cooler to feature an embedded 1.77-inch LiveDash color OLED Screen that displays useful system information on compatible asus motherboards. This includes vital information such as temperatures, voltages, fan speeds, or frequencies. You can also customize LiveDash to display a customized image or animation (JPG/GIF) up to the size of 160 x 128 pixels highlighting your clan insignia or gamertag. PERFECT SYNCHRONIZATION WITH OTHER COMPONENTS Infused with Aura RGB lighting, Ryuo adds a subtle glow that helps to highlight the CPU as the heart of any build. The lighting color and effects can be customized to match the OLED display and system colors for a unified look that's totally your own. The impact of Aura RGB lighting can be further enhanced with ASUS Aura Sync, which allows harmonized lighting effects with other Aura-enabled system components and external accessories. Aura software provides complete control of lighting across all compatible devices, so you can dial in the vibe you want to display quickly and easily. optimised fan design The ROG radiator fan is specifically tuned to deliver optimum performance with Ryuo radiators, generating 81CFM/5.0mm H2O for superior cooling efficiency. The ROG Ryuo is also equipped with the latest cooling-plate design featuring micro-channels that provide more thermal dissipation area for processor heat. This innovative feature reduces thermal resistance for more efficient performance and cooler temps. It is also equipped with four-pin PWM control for both the pump and radiator fans, ROG Ryuo delivers precise speed control for the perfect balance of performance and acoustics in every scenario. Easy to use interface The LiveDash software utility lets you easily customize ROG Ryuo's LiveDash OLED display and RGB lighting effects. Select which system stats to monitor, choose personalized GIFs and images to display, and control RGB lighting from an intuitive interface that arranges settings in a step-by-step flow from top to bottom. Hardware MonitorChoose from a variety of options to display important information using the OLED Panel. Image or AnimationUpload a custome image/animation or choose any of the preset ROG logo's. Custom BannerDisplay a custom message or even your Gamer name.